Exactly one year ago today I did my first storytime ever, starting as a volunteer at a local daycare every other week, with no formal training but lots of "mom" experience and casual observation of co-workers' storytimes. I have learned a lot since then! After about 9 months, my volunteer experience helped me land a promotion at the library to a position where I am now paid to do storytimes in our "Storytime-to-Go" outreach program. I went from doing 2 storytimes a month to doing an average of 50 storytimes a month! 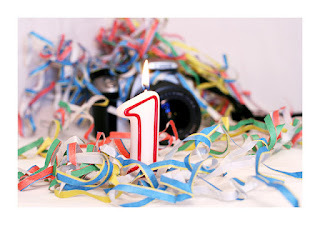 So, being in a reflective mood, I thought I'd present that very first storytime, and what I learned from it, and since. I did not have much time to plan my first storytime, as the daycare didn't give me much notice of when I could start volunteering. As they had asked me to do seasonal themes, I decided to start with "Fall" then do "Thanksgiving" the next time. So when I got there, I introduced myself and explained I would be coming every other week to read them stories, and had them tell me their names. I started off by talking about what season it was, and all the different things that happen in fall, like harvesting apples and pumpkins, the leaves turning colors and falling off, animals preparing for winter by eating or storing extra food, etc. Then, I led off with an activity incorporating movement and imagination: taking an imaginary trip to the farm and acting out all the motions. 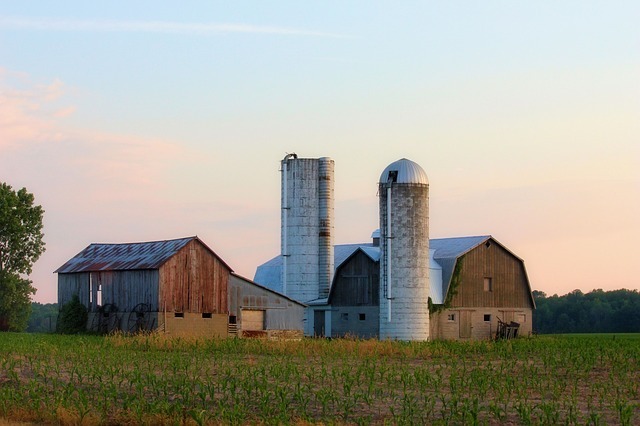 So first we pretended to be sitting on the bus, fastened our seatbelts, then drove out of town, past the library and other downtown buildings, past the suburbs, up hills and around curves, and into the country where we saw cows and horses. We arrived at the farm, walked off the bus and greeted the farmer. Next we walked to the orchard and picked baskets of apples, and sampled a few. After that we walked to the pumpkin patch and tried to see who could pick the biggest pumpkin. Then the farmer asked us to help rake the leaves, and gave us apple cider to drink while we sat on the ground and relaxed and listened to a story. 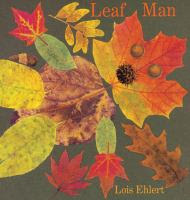 For the first book, I chose Lois Ehlert's Leaf Man. Although the text leaves a little to be desired, the creativity of the illustrations more than make up for it. I love fall, and fall leaves in particular, with all their beautiful colors and the crunch, crunch as you walk through them. Ehlert uses photographs of real leaves to make creative collages, starting with one that looks like a man. I love the imagination and creativity of this book. If I had the opportunity and location, I would love to plan a whole program around this book, starting with talking about fall and reading this book, then going on a nature walk to collect leaves, and finally an art project making collages with the leaves they collected. We did this at least twice, until they were able to join in with saying the words as well as making the motions. For the second and last book, I wanted to close with something that would be a sure hit. My co-worker had recently read Marty Kelley's Fall Is Not Easy to three different groups, getting huge laughs each time, so I decided to us it. At first glace, this book looks like a typical, if slightly boring, book about seasons, with sweet illustrations. But then, you turn the page and see all kinds of silly pictures as the poor tree tries and tries to get his fall colors right, but ends up with all kinds of crazy patterns, like cow print, rainbow stripes, a smiley face, and more. By the time the tree finally gets it right, its almost winter and all the leaves fall off. I had about 14 three-year olds that first morning that were excited to have me there, but did not have well-developed listening skills. Some kids could not stay engaged, while some kids were "overly engaged": jumping up in front of the book to point at things, interrupting, talking over me about the book, etc. But some listened fairly well. They really liked the pictures in Leaf Man, but I really wish the text was more engaging. It just doesn't quite come together with a good rhythm. If it had a rhyming text with a nice cadence, I think the kids would have been more engaged. They particularly liked the pictures that were supposed to be chickens and a turkey, and how the Leaf Man appeared again at the end of the book. One unexpected result was that they found Leaf Man to be hysterically funny, but Fall Is Not Easy did not get the big laughs I expected, though they still liked it. They really enjoyed the pretend trip to the farm, the action rhyme, and the closing song, and participated well in all of them. At the end, they all rushed me in a big mob hug, and I was hooked! I realized after this that they really needed more songs and rhymes, and a regular beginning routine with repeating elements that they could predict and would help cue them to settle down, so after this first storytime, I developed a regular beginning routine that I still do with my regular storytimes, and over time I gradually lengthened it from a 20 minute storytime with 2 books, to a 30-minute storytime with 3 books as they matured and got used to the routine. Of course, I had to start over when they moved up to the next class in August and I got a new crop of very chatty 3-year olds. I have taken what I have learned with this group and applied it to my new job running the Storytime-to-Go program. I have introduced an abbreviated version of my beginning routine to provide more consistency that was desperately needed, and am working on adding more age appropriate books to the collection, as many are just too long for preschoolers. I think I have gotten really good at reading aloud with gestures, sounds, movements, questions, etc., to get the kids really engaged in the story, and a good feel for what books will work well for a preschool storytime. I probably still could stand to improve my "classroom" management skills a bit, but I have learned not to be afraid of cutting in short if it just isn't working, or changing books/activities in the middle. Previously, I liked to plan every detail way in advance, but with my new job, I have learned to wing it and to adjust my plan on the fly because we never know what groups we're going to get, what ages they will be, or how they will be behaving on any given day. So I've learned to be more flexible and not let things faze me, and that's a good thing! I love doing preschool storytime, but I would like to eventually get some experience with baby, toddler, and kindergarten storytimes and other programs, even tween and teen programing. I have a lot that I still want to accomplish in my current position, but my long-term goal is a position where I would be back in the library providing customer service, as well as more varied programming, such as a Children's Associate or Youth Services Programmer position. I really prefer to do a little bit of everything and work with all ages. But until then, you can find me on the Storytime Bus!